Last month we welcomed the opening of Sprouts Farmer's Market into West Tampa, and this month we anticipate the expansion of Lucky's Markets in Central Florida and the launch of a Boca Raton spread into Lucky's Markets. 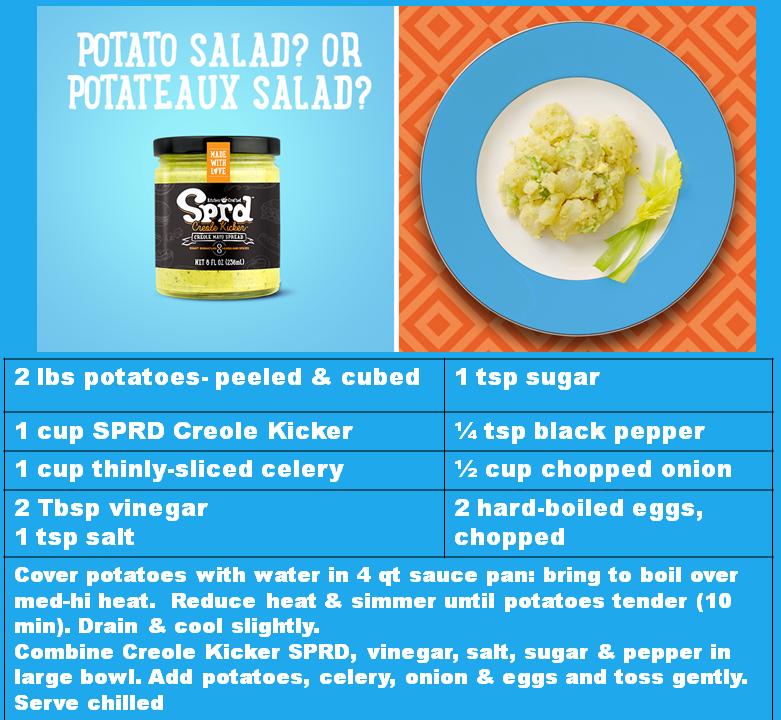 Enjoy the spicy creole potato salad recipe, and join us for as many events as possible. Don't forget to follow our Facebook events to keep up with the latest. Kitchen Crafted, a gourmet maker of signature spreads & blends, announces the availability of their all-natural SPRDs in Florida Lucky's Markets. It is available in 2 different flavors and is sold in 8 oz jars for $5.99. "Marinara Mia" is an all-natural tomato based mayo featuring 8 signature herbs & spices. The smooth texture and full flavor create a richly authentic Italian taste. "Creole Kicker" is a lively blend of all natural mayo with Creole mustard and eight signature herbs & spices. It offers vibrant flavor with a mix of New Orleans style. Based in Boca Raton, Kitchen Crafted has worked 20 yrs to create its signature blends of herbs & spices using globally-inspired flavors to bring gourmet taste to today's adventurous flavor seekers. Kitchen Crafted removes "Everything Artificial" from its products. Look for in-store demos at Lucky's stores throughout Florida over the next few months hosted by Moonbay Gourmet. Colorado-based Lucky's Market leads the way in offering the highest quality local fresh produce, a delicious deli featuring chef-created foods, delectable craft sandwiches and a wide range of homemade selections. Their logo is "Organic for the 99 %", and they sell beer and wine by the glass for you to enjoy while you shop. Really. There are currently 8 stores in Florida ranging from Naples to Tallahassee with several new stores opening in the Greater Tampa Bay area. 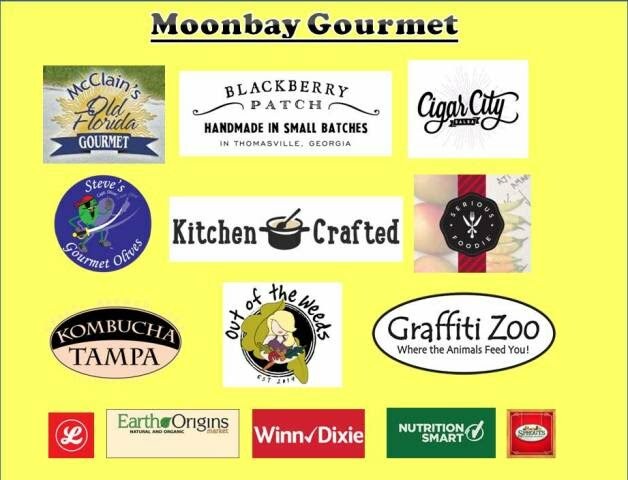 Moonbay Gourmet is a consulting firm based in Tampa offering sales and marketing services to food & beverage brands throughout Florida. Founder Susan Dodd also owns Steve's Gourmet Olives with her husband and she specializes in on-site demos. Other services include product photography, brokering and social media management. She can be reached at 727 644-7500 or susan.moonbay@gmail.com for a free consultation.